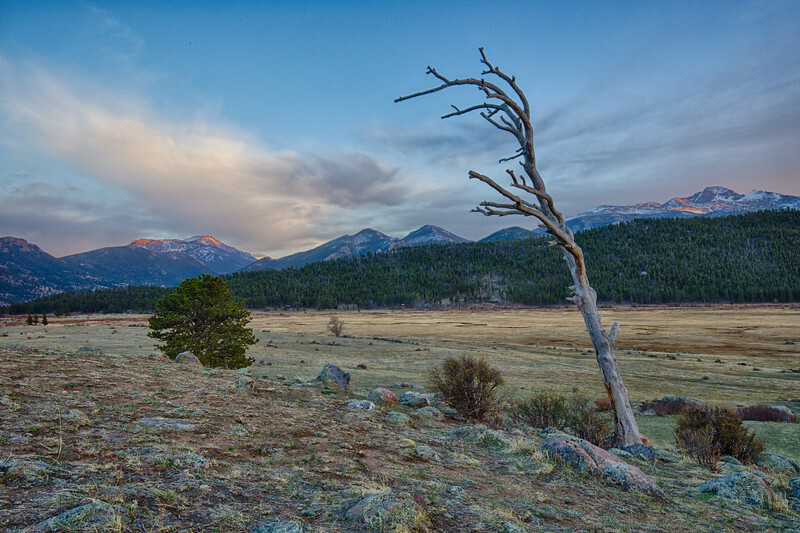 "Moraine Park Sunset - 13 April 2017"
The last rays of the day touch the high peaks surrounding Moraine Park, in Rocky Mountain National Park, as herds of elk graze in the park below. It was a lovely sunset, with cool temperatures and no wind (for a change...yeah! ).